Image: Liliboas/Rolfo Brenner/EyeEm/AndreyTTL/Getty Images. Design: Ashley Britton/SheKnows. One of my favorite traditions of the season is giving and receiving holiday photo cards and seeing how family’s and friends’ kids have grown over the year. When my kids were small, I considered making these cards a relatively simple task — but as they got older, it became seemingly impossible to get a family photo that everyone liked and wanted to use. 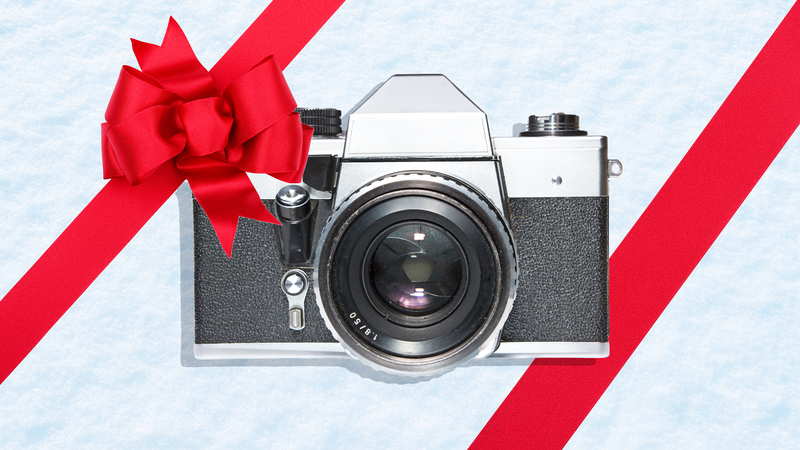 Rethinking the holiday photo is one solution. Family photos don’t have to be formal or taken in fancy clothes or even taken during the holidays at all. Pictures from a summer vacation or another happy occasion when the family was together are ideal for holiday cards. Candid photos or even selfies can be used for fun and festive cards. And if getting a picture of everyone together is just too hard, consider a card format that incorporates individual photos of each family member rather than a group shot. If you have your heart set on a traditional holiday photo, decrease the stress by taking them before the hectic holiday season. No one will know but you that the “holiday” photo was taken in September and not December. Or consider hiring a professional photographer to make the task easier. Erica Moffitt, a professional photographer and owner of Naki Studios in New Jersey, tells SheKnows, “Oftentimes, with a professional, children will behave better than they would if their mom or dad were taking the photos.” A professional can usually take the pictures more quickly because of their knowledge and experience. Plus, when you a hire a photographer, Mom and Dad can be in the photo too. Whether you take the pictures yourself or hire someone, incorporate some fun into your photo session. Moffitt says, “The biggest mistake people make taking family photos is when they get stressed and frustrated and resort to bribery or threats. It is best to keep it light and just enjoy your family. Make sure the image is clean and focused. The higher the resolution, the better. If photographing indoors, it is best to turn off the lights and have everyone face a large window that is receiving indirect light. If photographing outdoors, photograph in the early morning or late afternoon. Don’t worry about having a professional-grade camera. Today’s smartphones can take high-quality photos.